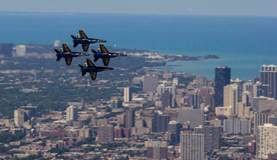 Skydeck Chicago at Willis Tower is welcoming Chicagoans and visitors alike to experience the Chicago Air and Water Show from atop Skydeck Chicago on August 19 from 11am-3pm for the third annual Picnic in the Sky. At $100-150 per person, guests can enjoy a gourmet picnic on the 99th floor of Skydeck, enjoying views of up to 50 miles and four states. It’s a rare opportunity to view the high-flying show at eye-level. Reservations are required; tickets can be purchased here. Additional information is available on the Skydeck Chicago website here. Have you heard? It’s Celebrating Champions month and all gifts will be MATCHED, dollar for dollar! From singing on the A Very Special Christmas album to becoming a Global Ambassador, Special Olympics has held a special place in my heart for years. I have witnessed firsthand the joy that the athletes feel when they compete for the very first time. This month you have the opportunity to give not one but TWO athletes the chance to get in the game, access proper health care, and unleash their inner champions on and off the field. But hurry before you miss your chance. Celebrating Champions month is about recognizing the courage in every athlete, the heart in every volunteer, the joy in every fan, and so much more. Will you celebrate with us and chip in $25? PS: Your DOUBLED gift is matched by Special Olympics partner, Perfect Sense! Make your lifesaving gift today. 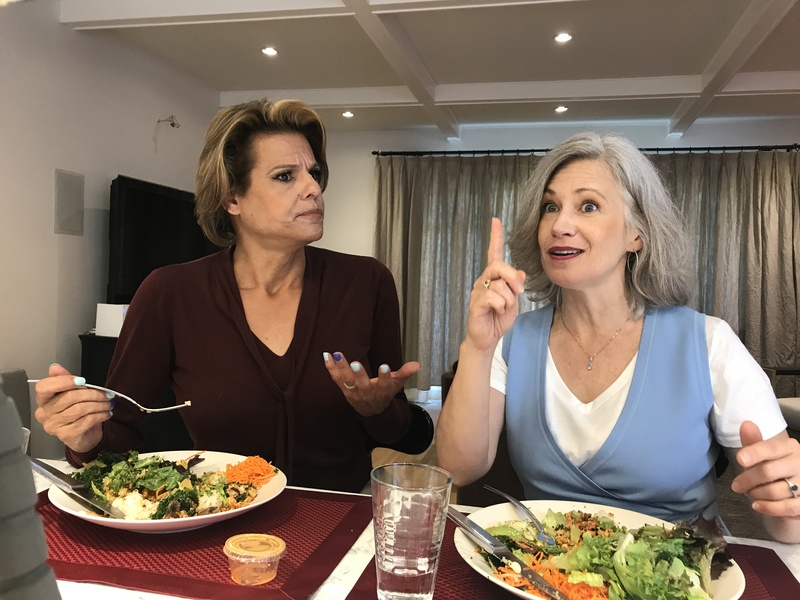 Actress, singer, beauty pageant queen and drag queen, Alexandra Billings takes us into her world on the most recent episode of The Celebrity Dinner Party. We dish on sexuality, gender, transitioning from Scott to Alexandra and how great it would be if none of it mattered. So grab a snack and settle in to hear (and watch!) about Alexandra’s experience on the Emmy-award winning show, Transparent, what it means to be transgender and why we should-or shouldn't!-care. 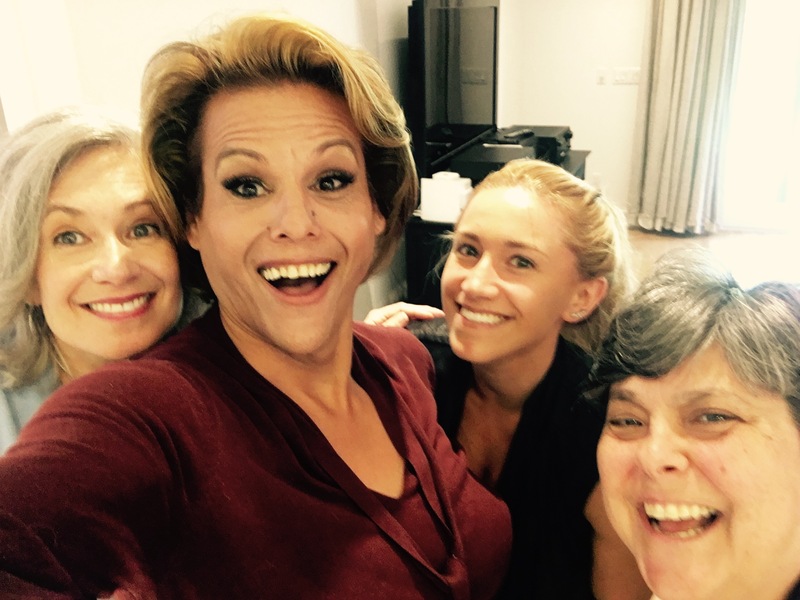 From Steppenwolf to the Amazon's LA studios, she's got some stories to tell! 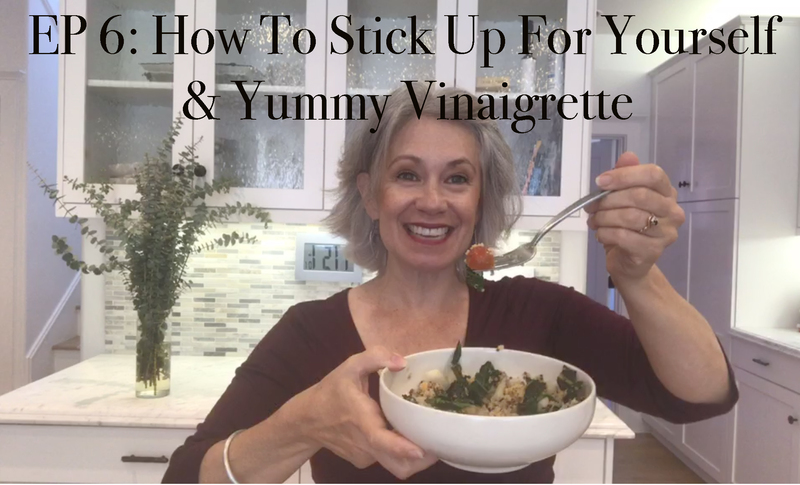 Click on the images above or click here to listen and watch and laugh! 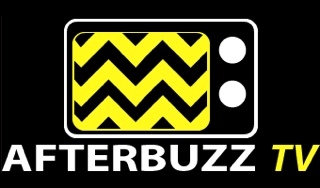 Have been having a great time hosting on Afterbuzz TV and this week was no exception! I interviewed Snowfall's "Pedro Nava", Portuguese actor Filipe Valle Costa on the AFterbuzz Spotlight On series and Hulu's Casual creator, executive producer and writer, Zander Lehmann on the Casual Aftershow. Click the below links to listen, watch and feel the Afterbuzz excitement! The Carmel, California home where the 'Play Misty For Me' movie thriller was filmed is for sale and featured this week! Though most of Clint Eastwood’s film “Play Misty For Me” was shot in Monterey, California, the final scene, the one that most movie fans remember, was shot from a stunning cliffside home in Carmel about 200 feet over the crashing waves of the Pacific Ocean below. The movie was the turning point in Eastwood’s 63-year career catapulting him from a one-dimensional cowboy star into an accomplished actor who could handle almost any role, and his first director’s job. Eastwood would go on to direct 35 movies including Academy Awards for “Unforgiven” in 1992 and “Million Dollar Baby” in 2004. He may be America’s most popular living actor. Eastwood was a Carmel resident (he was elected mayor of Carmel in 1986) who parlayed a riveting script, two of the era’s best songs: Erroll Garner’s “Misty” and Roberta Flack’s “The First Time Ever I Saw Your Face,” and spectacular Southern California scenery into one of the early 1970’s top box office and critically-acclaimed hits. 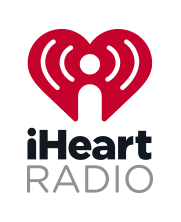 Similar to many of Eastwood's films that are inspired by real-life events, Eastwood knew a disc jockey in Carmel whose niche was reading poetry on air and also knew an actress who had experienced a fan obsession similar to the one in the story. The script centered around a disc jockey who started a casual fling with a fan who continuously called the radio station requesting that he play “Misty” for her. She became possessive of his time, which led to his breaking off the relationship, which led to her psychotic obsession. In the last scene, she was viciously stabbing him after finding him with another woman at his cliffside home. When he pushed her trying to protect himself, she went careening through the glass door, falling down the cliff to the rocks below. The film had a budget of $950,000 and box office sales of $10.6 million. The family that owned the home when “Play Misty For Me” was being filmed, continued to live in the home for more than 30 years. The current owner purchased it from them three years ago and has spent nearly $2 million rebuilding the property with new floors, top-of-the-line materials and fixtures and other major updates. The Carmel home was professionally decorated with furnishings and decor in a neutral palette that complements and draws attention to the dramatic views. Located on a private fenced and gated 1.25 acres of rugged coastline, the 2,781-square-foot house has three bedrooms and three baths and the detached guest house has one bedroom and one bath. The open living floor plan, glass walls and large skylights fill the entire house with light and bird’s-eye views of the craggy coastline, crashing waves and wind-sculpted trees. The main living area contains contemporary living and dining, fireplace, kitchen open to the living area with bar seating and an additional breakfast area. Two levels of decks provide additional space for entertaining and lounging and a spacious, light-filled guest house with fireplace. Since the early 1900s, artists, actors, writers and musicians, have been drawn by the Monterey Peninsula’s wild natural beauty. Many of the country’s top executives and entrepreneurs have homes in Carmel and nearby Carmel Valley and the Carmel Highlands. The town itself, at only one square mile, has no streetlights, no home mail delivery, a law against wearing high heels without a permit, and allows dogs to accompany their owners into the local business establishments and eateries. The town has been such a success model that city planners worldwide have come to learn its secrets. Listing agents are Terrence Pershall and Andy Nygard of Sotheby’s International Realty, Monterey, California. The romantic contemporary cliff house in the film “Play Misty for Me” has undergone a complete 21st century renovation including professionally selected furnishings and decor is for sale priced at $11.9 million with furnishings negotiable. 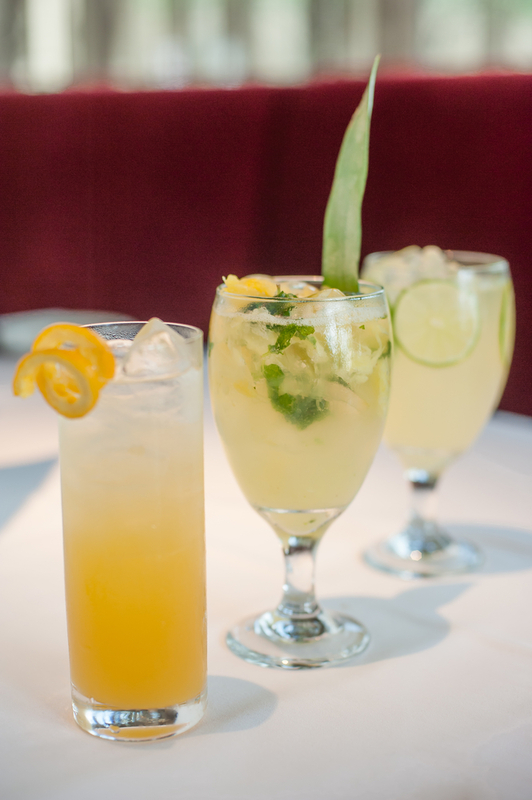 Beat the summer heat with new cocktails and Signature Shaken Sodas at Perry’s Steakhouse & Grille (5 Oakbrook Court, Oak Brook, IL 60523; 630-571-1808). Perry’s six new drinks are refreshing thirst quenchers; three of them are non-alcoholic, perfect for guests of all ages. Briefly launched earlier this month to celebrate the patio’s expansion, the Key Gin Gimlet now is here to stay after earning rave reviews. 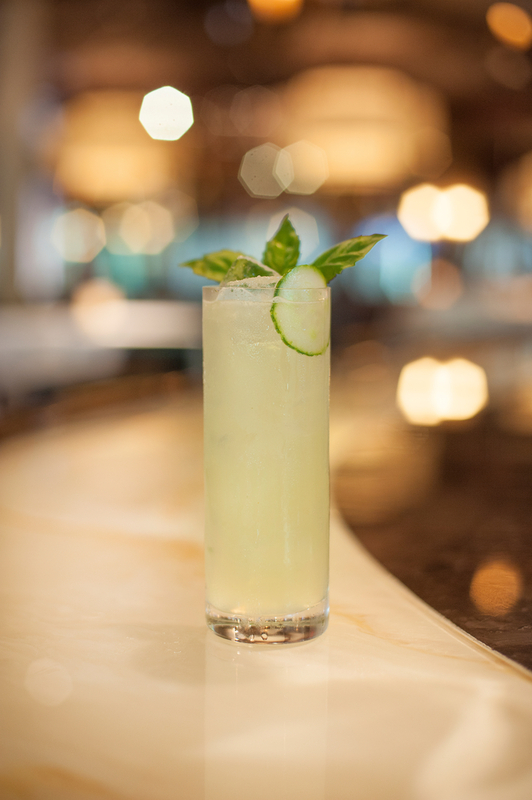 Using Chicago’s own CH Key Gin shaken with fresh lime juice and crafted with muddled basil and cucumber, this cocktail captures the essence of cool, crisp and refreshing. The Highland Highball hits the mark. Glenmorangie 10-year Scotch is stirred with Grand Marnier, fresh pressed lemon juice and a hint of almond for a subtle, classic cocktail. The third new cocktail has a hot twist. 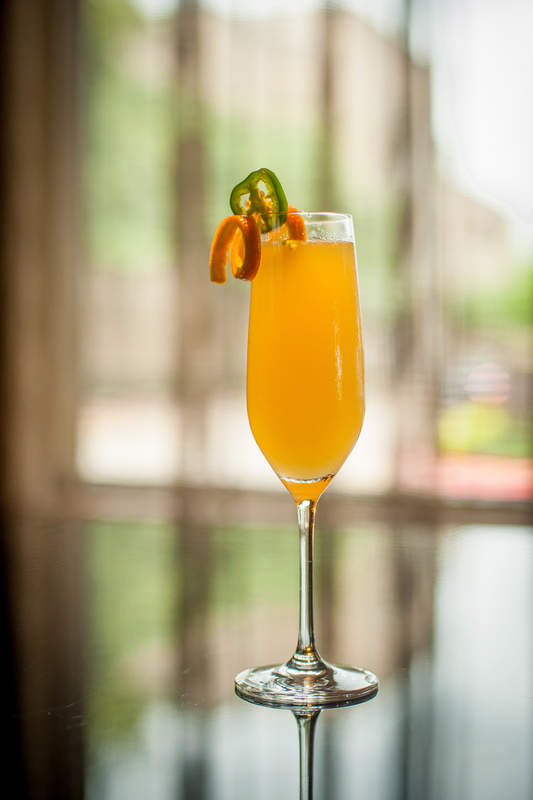 Perry’s Spicy Mango Tango shakes Belvedere Mango Passion Vodka with mango, fresh pressed lime juice and a hint of habanero lime before topping it off with Chandon Brut Sparkling Wine. The subtle kick and tropical fruity flavors make this drink rejuvenating on an exceptionally warm summer day. In addition to the new cocktails, Perry’s has released a new line of non-alcoholic Signature Shaken Sodas. Perfect for kids and adults, the drinks are Mango Fizz Soda, Pineapple Ginger Ale, and Habanero Margarita Soda. The Mango Fizz Soda ($5.95) is a tropical refresher made from fresh pressed lemon juice and mango puree, shaken and served tall with a splash of soda. The Pineapple Gingerale ($5.95) puts a fun, non-alcoholic twist on a mojito. Freshly cut pineapple is muddled with mint and fresh ginger before lime juice is added. The mocktail is then shaken and topped with Ginger Ale. Even though The Habanero Margarita Soda ($5.95) sounds like an alcoholic beverage, it is a refreshing and light non-alcoholic option. Made with fresh pressed lime juice and shaken with a hint of habanero pepper along with agave nectar, it is spicy, sweet and delicious. Treat yourself to these deals during Perry’s Social Hour, enjoyed 4-7 p.m. Monday through Friday at Bar 79. 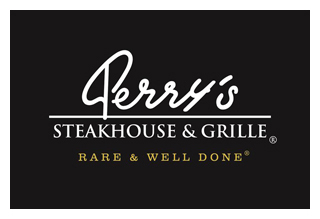 Indulge in $9 Bar Bites, like Perry’s Famous Pork Chop ‘Bites’, Beef and Blue with sliced Beef Filet with Blue Cheese and Bacon Marmalade, Escargot, Homemade Polish Sausage, Seafood Stuffed Mushrooms, Sliders 79 with Onion Strings and the Steakhouse Pizza topped with chopped beef tenderloin. Or choose Perry’s popular Butcher’s Blend Burger made from brisket, chuck and shortrib and served with French fries or sweet potato fries for $12. Select beverages are available including $9 cocktails like the Sobieski Martini, Bulleit Manhatten, Key Gin Gimlet, Highland Highball, Spicy Mango Tango, and “Strait” Paloma, or choose from any three mini martinis for $11. Craft beers for $4 and a variety of featured wines from $7-16 per glass are available, too. View the full Social Hour menu here. Reservations may be made online or by calling 630-571-1808. The Gene Siskel Film Center (GSFC) of the School of the Art Institute of Chicago announces the inaugural Associate Producers board, a dynamic group of 25 – 40-year-old movie-lovers who will work in conjunction with the Advisory Board to further the Film Center’s mission of presenting eclectic international films, festivals and repertory series. 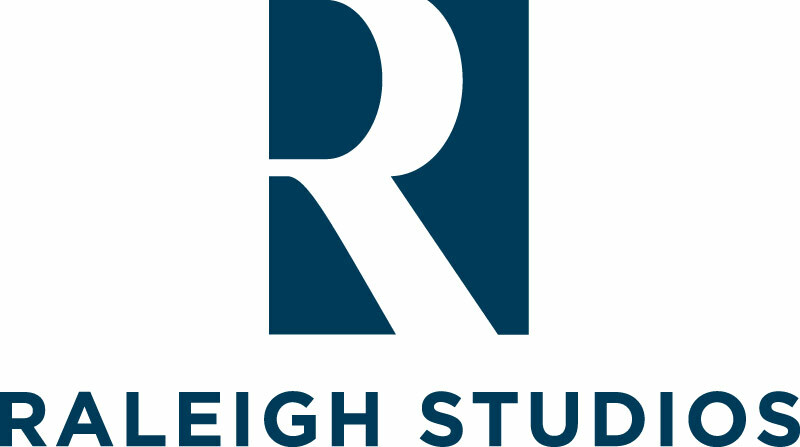 Co-chaired by Katie Gorman and Carly Leviton, the initial group of members also includes Aymar Jean Christian, Felicia Mings, Sylvia Piszczor, Mary Elizabeth Rankin, Nicholas Serpico and Jewell Singletary. 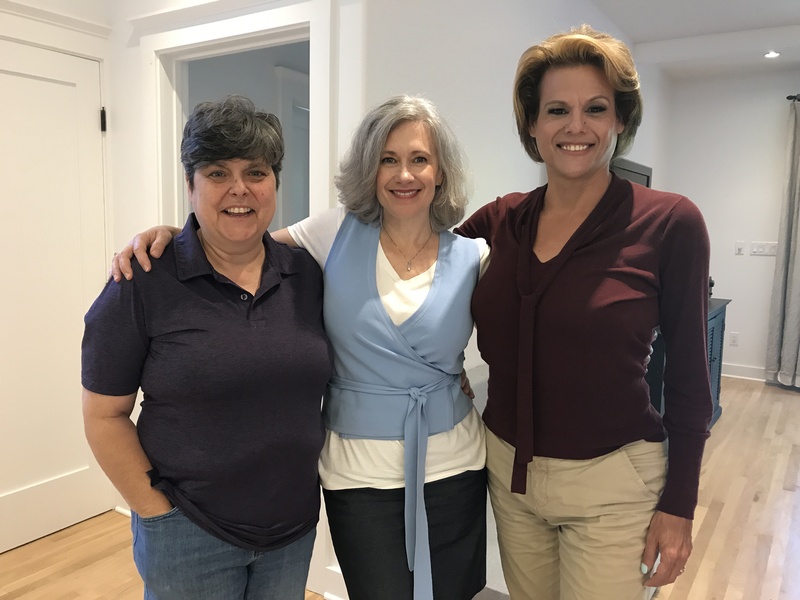 The group will work together to create and host new events, cultivate new relationships with community partners and expand the Gene Siskel Film Center’s reach to new audiences. For more information or inquiries on the Associate Producers, please contact Dionne Smith at (312) 846-2072. Aymar Jean Christian is an assistant professor of communication studies at Northwestern University and a Fellow at the Peabody Media Center. Dr. Christian’s first book, Open TV: Innovation Beyond Hollywood and the Rise of Web Television by New York University Press, argues the web brought innovation to television by opening development to independent producers. His work has been published in numerous academic journals, including The International Journal of Communication, Cinema Journal, Continuum, and Transformative Works and Cultures. He leads Open TV (beta), a research project and platform for television by queer, trans and cis-women and artists of color. Open TV (beta) programming partners have included the Museum of Contemporary Art Chicago, Art Institute of Chicago, Block Museum of Art, and City of Chicago, along with numerous galleries, community organizations, and universities. He has juried television and video for the Peabody Awards, Gotham Awards, Streamy Awards, and Tribeca Film Festival, among others. His blog, Televisual, is an archive of over 500 posts chronicling the rise of the web TV market, and he has written regular reports on TV and new media for Indiewire, The Wall Street Journal, Slate and Tubefilter. He received a PhD from the University of Pennsylvania. With more than eight years of experience in public relations, Carly Leviton is the Vice President at Carol Fox and Associates. She has worked on extensive Public Relations campaigns with clients including EXPO CHICAGO, The Auditorium Theatre, Chicago Trolley & Double Decker Co., The Museum of Contemporary Art Chicago, The Chicago International Film Festival, Kavi Gupta Gallery, The Chicago Artists Coalition, Arts Alliance Illinois, River North Dance Chicago and the Gene Siskel Film Center, among others. Prior to joining CF&A, Leviton worked at the Goodman Theatre where she was able to foster her love of theater and the arts. Originally from Wilmette, IL, Carly received a Bachelor of Science degree in Journalism from Indiana University with a minor in Theater. Felicia Mings is the Academic Curator in the Department of Academic Engagement and Research at the Art Institute of Chicago, where she leads the Andrew W. Mellon Summer Academy and Undergraduate Curatorial Fellowship Program, and assists with the Chicago Object Study Initiative (COSI). Mings’ scholarship and practice is focused on the intersections between curatorship, community-based arts education and contemporary art of the African diaspora. She has created educational programs and exhibitions such as Body and Soul at the Gene Siskel Film Center (2015), What We All Long For at SAIC’s Student Union Galleries (2014), Fine Color a series of short films for the Chicago Home Theater Festival (2014) and the Youth Film Club at Theaster Gates’ Black Cinema House (2013). Mings has also been a part of the inaugural teams at Nia Center for the Arts and the Council of Educators of Toronto, two not-for-profit organizations that work to enhance educational attainment, access to the arts and socio-economic opportunities for youth. Mings received her MA in Visual and Critical Studies from the School of the Art Institute of Chicago in 2014 and her Honors BA in Art and Art History from the University of Toronto and Sheridan College in 2008. Over the past 8 years Piszcor has led a career in IT services, supporting fundraising entities of large, multi-layered healthcare systems. Within that time, she’s developed an interest in global aid and population growth/growth management. As a Systems and Application Analyst, she focuses on aligning fundraising business strategies with appropriate enterprise software solutions to allowing non-profits to better and more broadly deliver their mission throughout the communities they serve. Sylvia is bCRE-Pro certified, holds a BA in Architecture from Miami University in Ohio and is currently pursuing a MS in Global Health from Northwestern University. Mary Elizabeth Rankin joined Chicago Loop Alliance in February 2017 after relocating back to the United States from London, England. Chicago Loop Alliance promotes and unites Loop businesses and organizations to support one another in creating a vibrant, flourishing Loop where people live, work, and play. In her role as Marketing Director, she is responsible for the implementation of the consumer marketing strategy targeting Loop workers, tourists and visitors. During her time in the London, Rankin held the position of Communications Manager at The Portman Estate, the property owner and management company of 110 acres across Marylebone in London’s West End. Previously, she led the communications strategy for Heart of London Business Alliance, a Business Improvement District (BID) representing 500 businesses and property owners in the West End. She was responsible for leading Heart of London’s B2B activity for destination marketing initiatives such as London Luxury Quarter, developing the communications strategy to establish the UK’s first Property Owner BIDs and project managing the West End’s involvement in Lumiere London. She holds an MA in Marketing Communications from University of Westminster and a BBA in International Business from University of Georgia. As a Chicago native, Nicholas Serpico is a travel-lover crippled by the belief that there’s no place like home, and that home is far too cold 6 months a year. He fell in love with film when he learned that watching movies is the best way to travel without getting off the couch. When Nick isn’t spending his time watching the Great British Bake Off, he’s at Exelon, where he does his part to keep Exelon the best energy company in America – and that’s an objective fact. 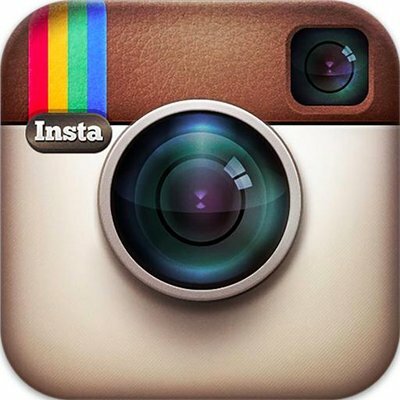 Jewell Singletary started her career in the fashion industry over 20 years ago as a sales associate. She later studied at the Fashion Institute of Technology in New York City to work her way off the sales floor and into executive retail buying and wholesale offices across the country. Throughout her career Singletary has lived and worked in every major U.S. city from New York to Los Angeles. She currently resides in Chicago while working as a sales analyst for Nike, Inc. While earning a bachelor’s degree at Rutgers University, she studied technical, foreign and American film which spurred a lifelong love of film as a visual art form. LI Members save $300 for NTHP Conference! *Restrictions apply: Only current Landmarks Illinois members are eligible for the Forum rate. Rates are valid only for the membership holder(s) and not transferable. Not sure if you are a current LI member, please call (312) 922-1742. Not a Landmarks Illinois member? Join now to save on PastForward registration! Click the button below to become a member or renew your membership. 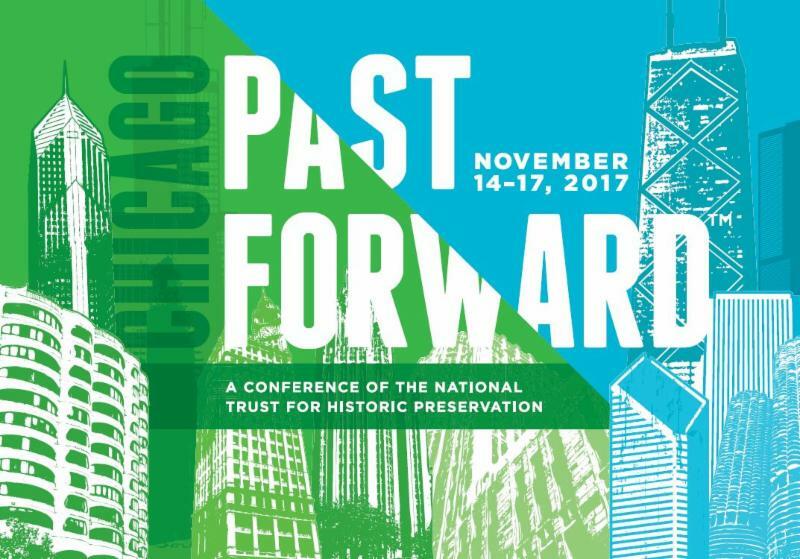 Landmarks Illinois is a proud presenting partner for this year's PastForward Conference. Time To Go Wild With Nick Cannon!